My cat love the food! Great Treat for training cats! 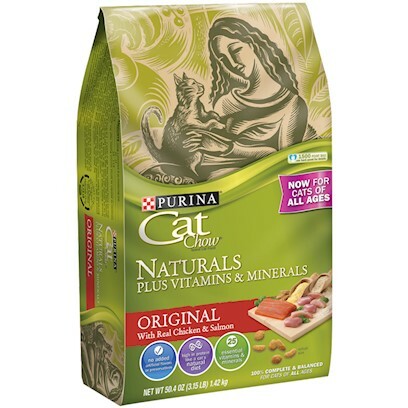 Purina Cat Naturals is a Great Product! Appeals to my two 'boys'! Love the natural brand option for my kitty cats! Yummy for my cat's tummy! My indoor cats love this! Quality ingredients and the cats love to eat it. All Nautal Is A Great Product For My 4 Kitties ! Great healthy food, reasonably priced! This formula made my cats' coat shiny! Great for cats on a diet! Only food our indoor furbabies have ever eaten!